> OFF JOYA 2013 – ah la la ! quel programme !!!!!! OFF JOYA 2013 – ah la la ! quel programme !!!!!! 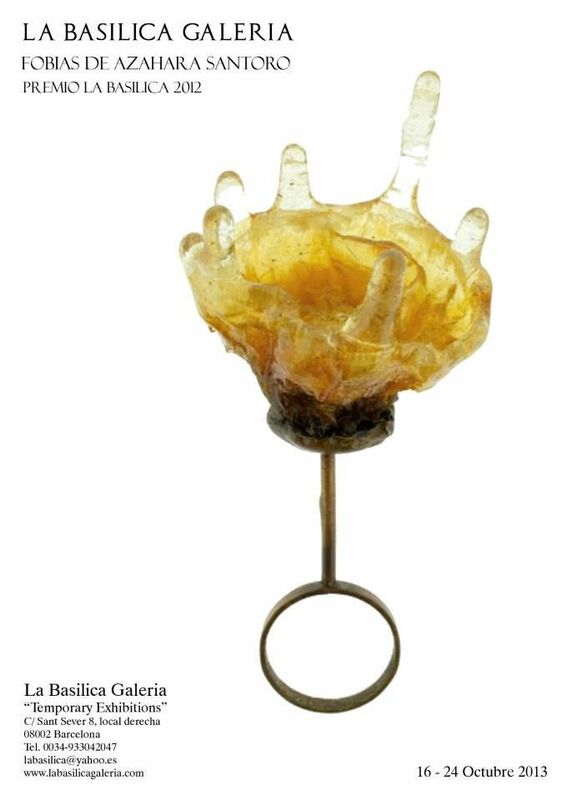 In 2013, JOYA challenged itself to reach outside the FAD exhibition hall by pairing jewellery artists and galleries, that are not necessarily jewellery oriented but understand its contribution to art and design. The purpose is to further extend the offer of this art event to the public and to create greater synergies between the contemporary jewellery outlets that already exists in the city. 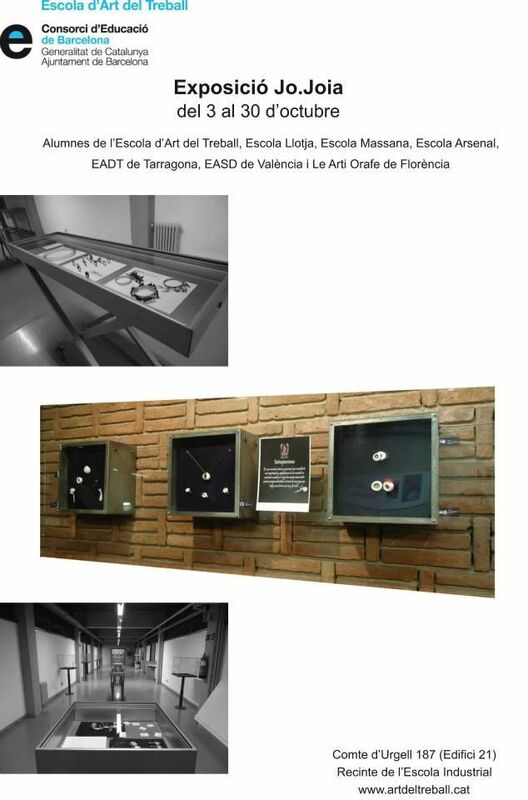 The end product is a route of jewellery exhibitions around the city of Barcelona that are open to the public and reach a larger audience. 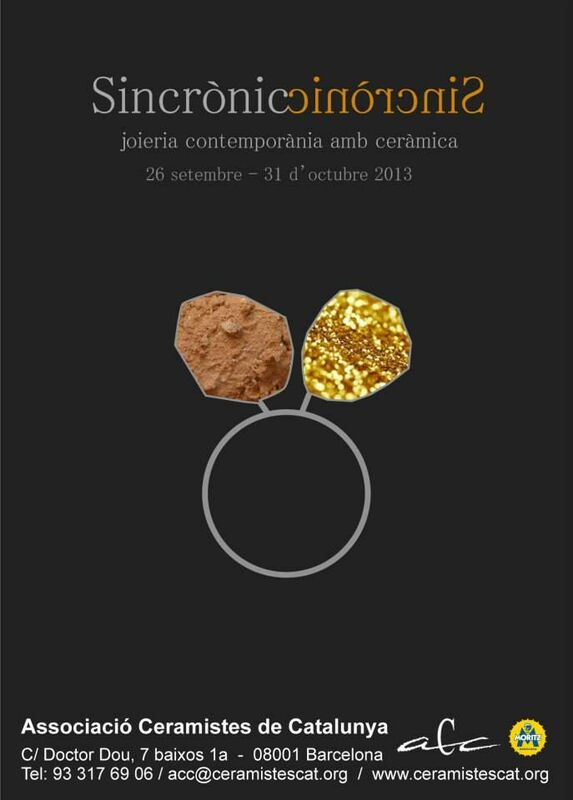 * Ceramic Association of Catalunya- Prepares a special exhibition of ceramic jewellery “Joieria Sincrònic” in their gallery space. 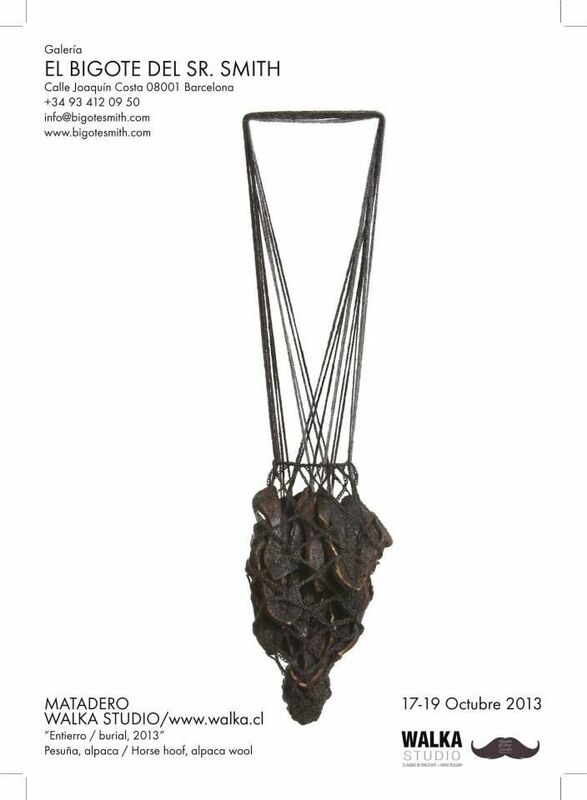 * Klimt02 Gallery – The long lasting partnership with JOYA provides an opportunity to see Noon Passama’s work, winner of 2012 Art Jewelry Forum Award, at the Klimt 02 gallery. * La Basilica- Azahara Santoro, winner of 2012’s La Basilica award for students will be featured in this gallery along with 12 other international artists that work with the gallery. 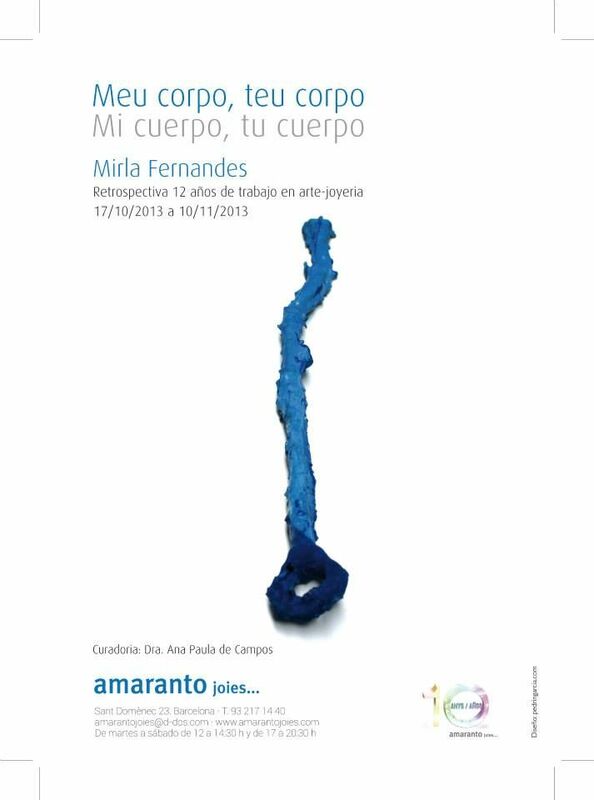 * Amaranto Joies gallery - Brazilian artist Mirla Fernandes will showcase a retrospective of 12 years of her work in Amaranto Joies gallery of Barcelona. 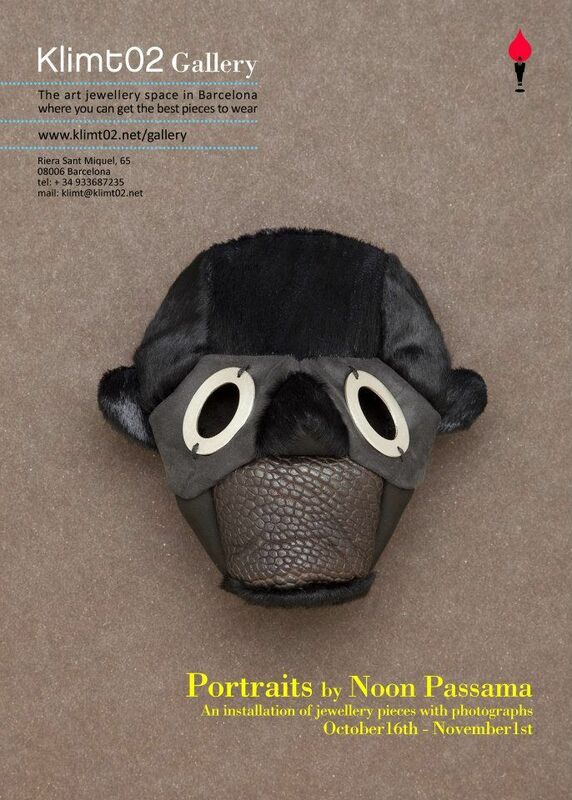 * « Bigote del Sr Smith » Gallery - Claudia Betancourt and Nano Pulgar from Chilean brand WALKA, will exhibit their award winning work (Excellence of Handcraftsmanship (UNESCO, Chile 2008-2009) in this new up and coming gallery. 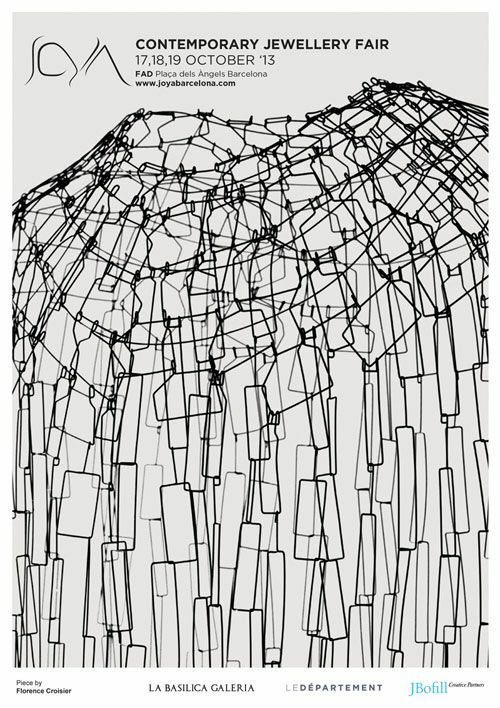 * Fili Plaza – La artista española Fili Plaza (Salamanca, 1957) ha elegido el cuerpo humano como objeto temático, como modo de expresión de su obra escultórica, nos enseñará su faceta más conceptual y experimental. 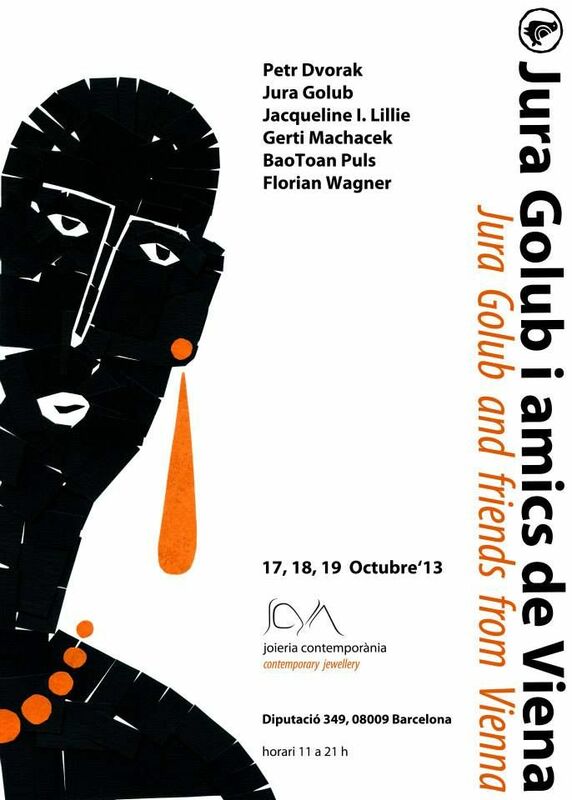 * « Jura Golub » Atelier - Presents 6 international artists from Austria in this cozy Barcelona gallery. 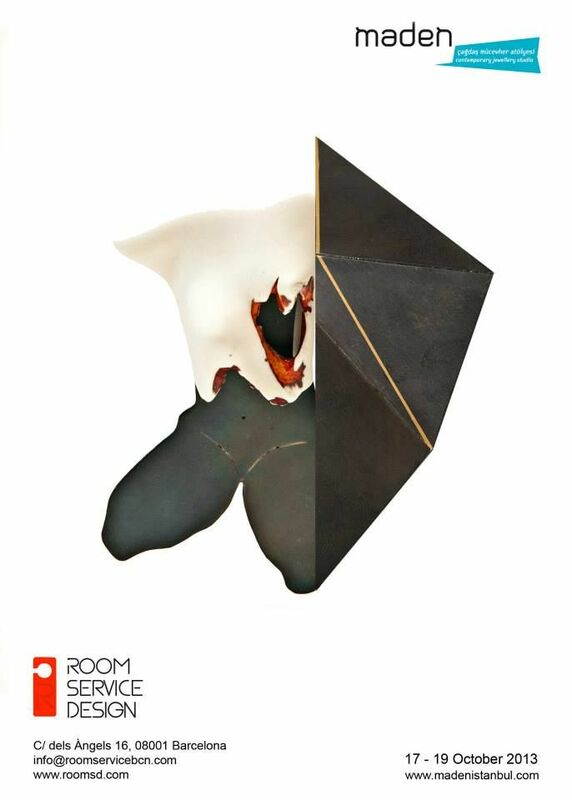 * « Room Service » Gallery - This design specialized gallery will host Burcu Büyukünal, Selen Ozus, Asli Kuris and Burcu Sülek from Maden, an up and coming jewellery studio from Turkey. * Mutuo Centro de Arte- This industrial size gallery in Barcelona’s gothic quarter will host Context. 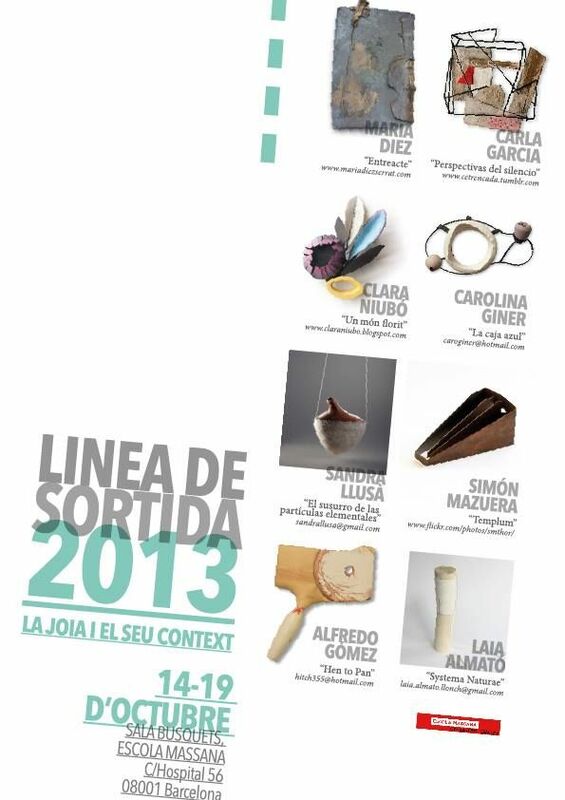 A group dedicated to showcase the work of 26 jewellery artist from Spain. 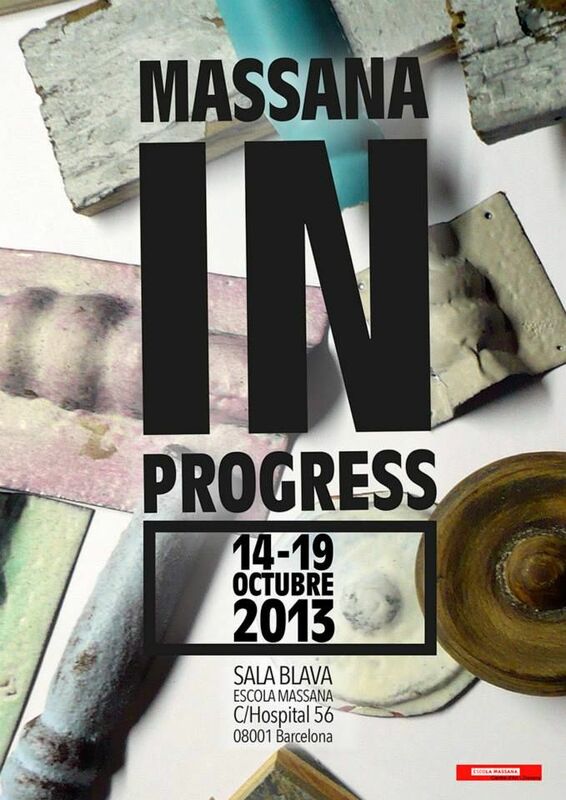 * Ring Ring Gallery- Ring Ring Arts & Crafts is an open space for the world of design, art and craft in Barcelona. 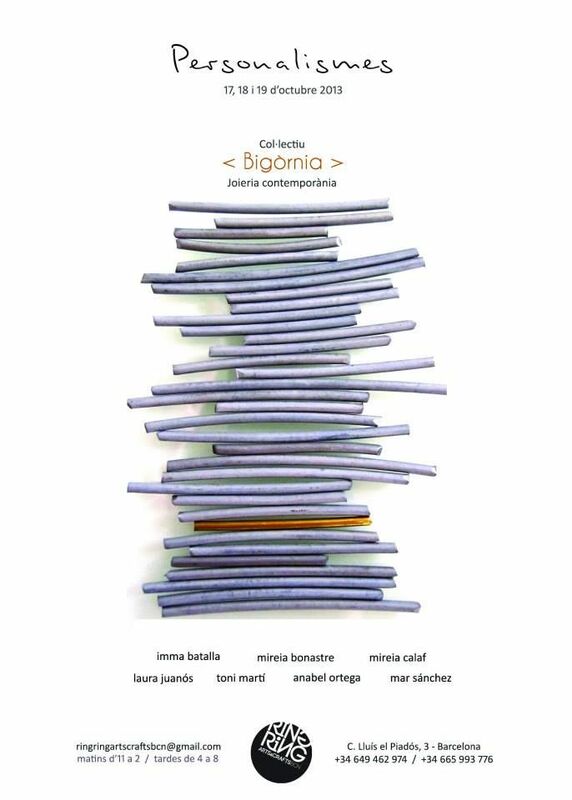 Seeking to find an artist who seeks beauty and communication from their work, they will host Bigornia, a group of 7 artists led by Spanish artist Imma Batalla. * Jo Joia – Los mejores trabajos de distintas escuelas españolas junto a la escuela florentina Le Arte Orafe en el recinto de la Escola Industrial. 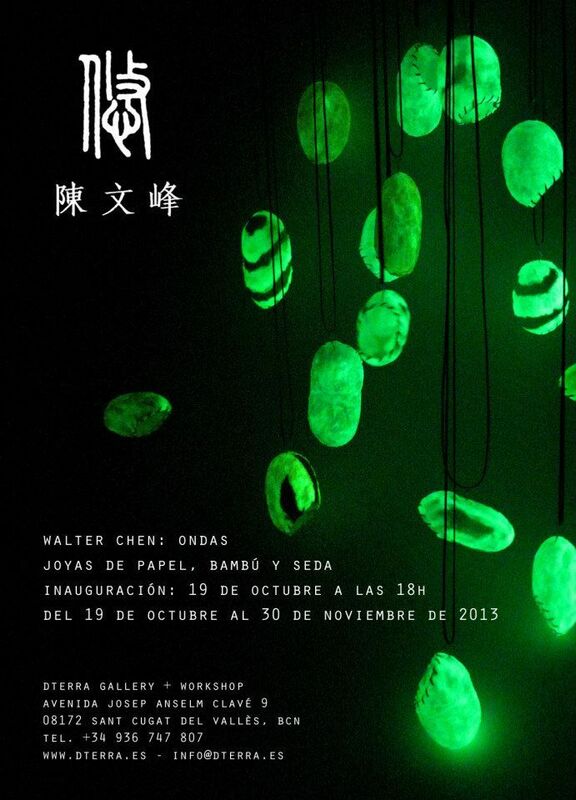 « El Bigote del Sr. Smith » presents « Matadero/Walka Studio » – Claudia Betancourt and Nano Pulgar from Chilean brand WALKA, will exhibit their award winning work (Excellence of Handcraftsmanship (UNESCO, Chile 2008-2009) in this new up and coming gallery.